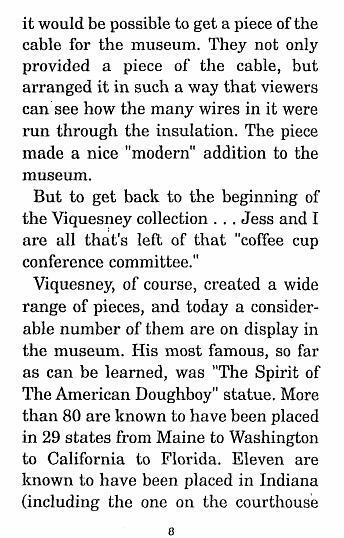 Above, T. Perry Wesley (left) and associate Jess McKay discuss plans for the proposed Viquesney museum in Spencer. 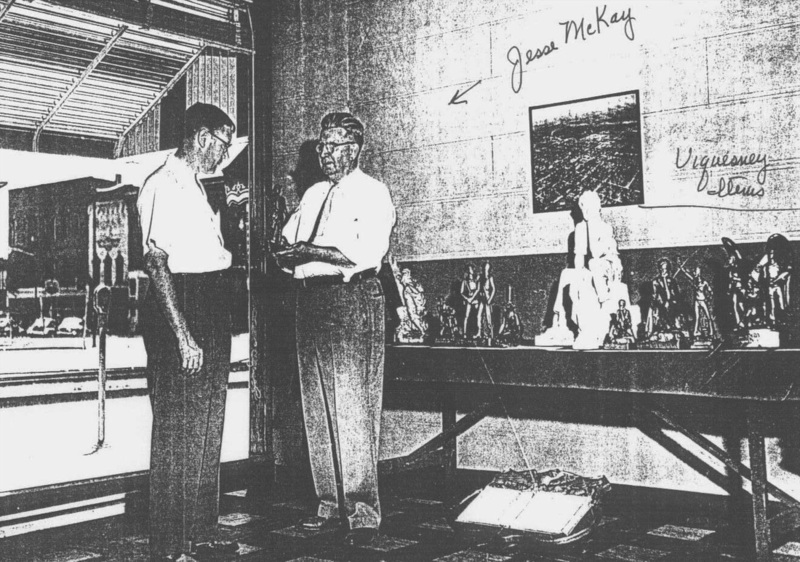 Mr. McKay holds a miniature Doughboy, and various other Viquesney miniatures can be seen on the bench and on the floor to the right. 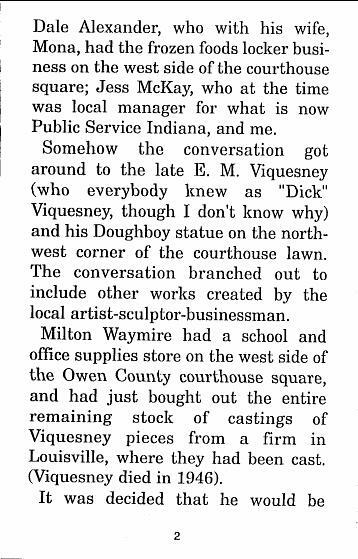 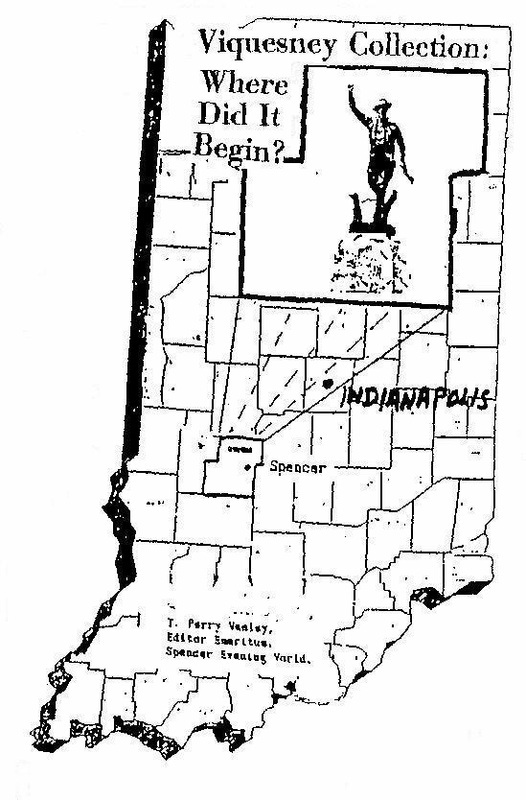 Researcher T. Perry Wesley was always sorry he never got to meet E. M. Viquesney, arriving in Spencer, Indiana only a couple of years after the artist's death. 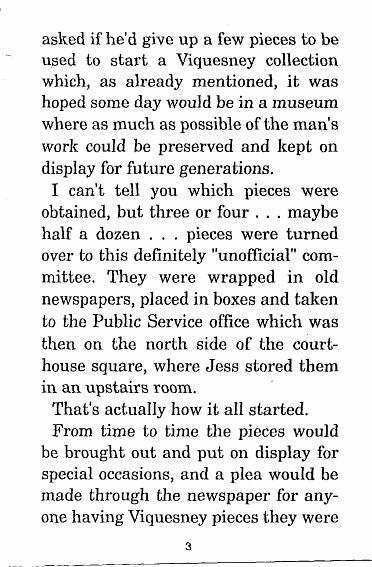 But almost immediately after Mr Wesley's move there, plans began to arise for a Viquesney museum. 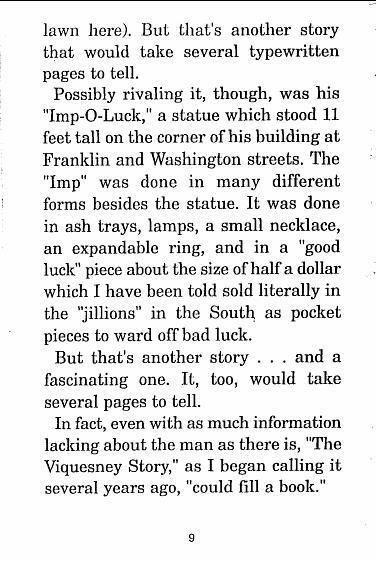 Below is Mr. Wesley's account of how it went, according to his reminiscences. 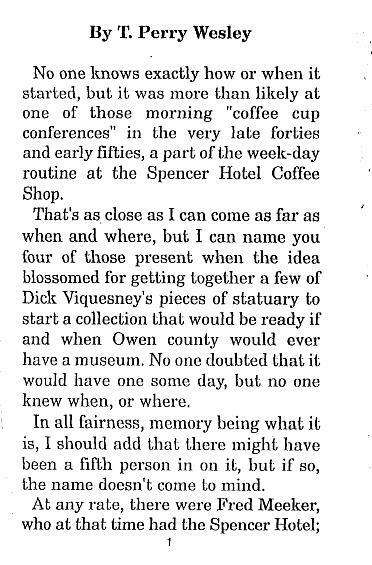 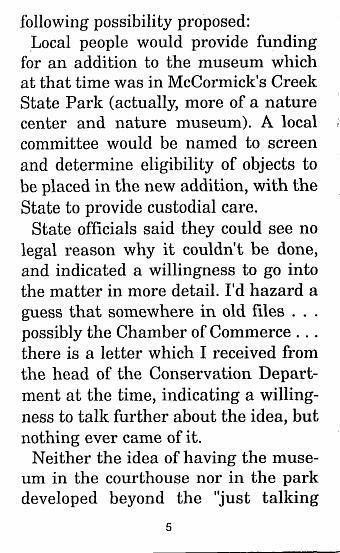 The article is 1995 reprint of a story Mr. Wesley wrote probably sometime in the late 1970s or early 1980s. 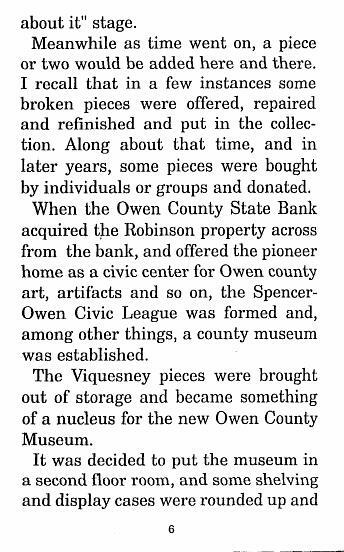 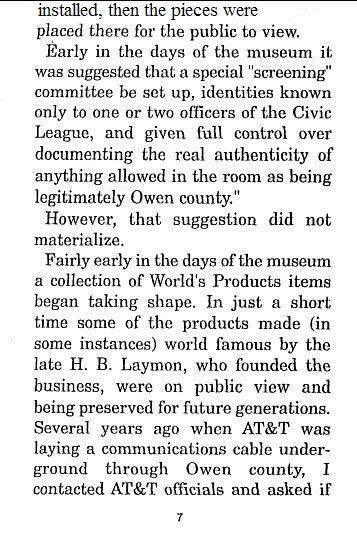 Although no "official" Viquesney Museum was ever built in Spencer, many of the artist's works and memorabilia are now on display at the town's Owen County Heritage and Cultural Center (in the old Carnegie Library building). 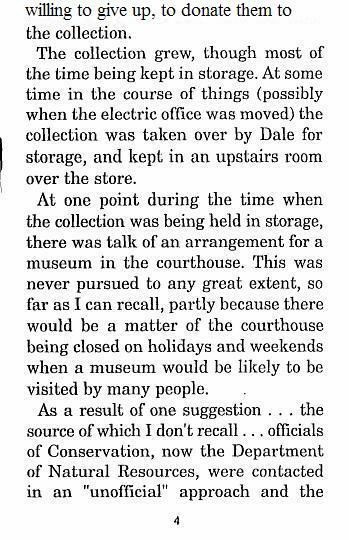 Article supplied by Doughboy Searcher Earl D. Goldsmith, The Woodlands, Texas.